Today was our last day at Maai Mahiu. On Wednesdays Rift Valley Fellowship provides a group for both men and women to come together to pray, worship, and share a meal. 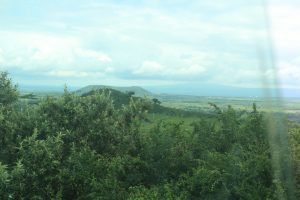 Dr. Dixon and Dr. Case went off with the men while the rest of the group stayed with the Rift Valley Fellowship women. This group is referred to as the Women of Courage. And they truly are women of courage. They all are facing similar hardships but come together every Wednesday to pray for and encourage one another. Several women shared stories of how God is working in their lives. God is providing finances, healing sickness, and offering hope. It still amazes me to know the struggles these women face daily yet they truly have courage that God is in control. One woman named Rose even shared Jeremiah 29:11 to proclaim God has a plan and purpose for her life and the lives of others. And I praise God the Women of Courage know this truth! After the meeting with the Women of Courage was over we were faced with some culture shock. 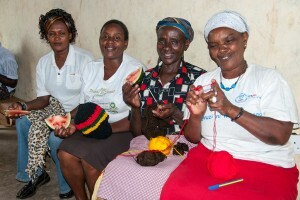 Many of the women make purses and jewelry to provide for their families. This is their only source of income. So after our meeting they each pulled out items to display with hope we would buy. Of course we wanted to support these women so all of us purchased an item. However, we obviously could not purchase every item from the women. But the women were very persistent in attempting to sell to us. This was a difficult spot to be put into for our team because we felt a little uncomfortable with these women who seemed interested in our money after we had just worshipped together. 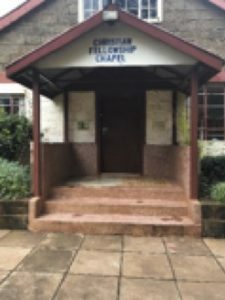 After we had left Rift Valley Fellowship and discussed the situation as a team we realized we were directly faced with a large cultural difference. While in America we are used to impersonal selling, Kenyans focus on personal selling to friends and family. So these women were selling to us in part because we have built relationships with them. It is simply a part of Kenyan culture to ask for the support of others through purchasing these items. A large part of our frustration came from our feeling of being helpless. As we built relationships with the people of Maai Mahiu we were aware of their difficult circumstances. Today was our last trip to Maai Mahiu and while our visits have encouraged the people at Rift Valley Fellowship, we know their difficult circumstances still exist. Knowing we cannot fix Maai Mahiu is a difficult truth our team has realized. However, this may be the best place to be because it takes the control out of our hands and makes us put our trust that God is in control. And like the woman at the meeting shared, God has a hope and a purpose for Maai Mahiu (Jeremiah 29:11). After our time at Maai Mahiu we traveled to the Internally Displaced People camps. IDP camps are refugee camps where many people fled to after the violence in the 2008 election. During this election there was much intertribal violence that left many people with nothing when their homes were burned. People fled to the camp and lived in tents for survival. About a year and a half ago, Habitat for Humanity came into the IDP camp in Maai Mahiu and built homes. The IDP camps are now filled with new homes for the people to live in. So while they still do not have much, they have a roof over their heads. Praise God for Habitat for Humanity! Many people from the Rift Valley Fellowship live in the IDP camp. 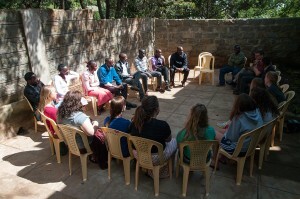 So while we were there we visited the homes of the families from Rift Valley Fellowship. We were able to pray for their families. Again, a common prayer request for the families was for school fees to be provided. The IDP camps are filled with children who were excited to see us and we were able to play with them during our time there. Many of us walked hand in hand with the children as we walked from home to home. There are things that are bigger than us, and those things we give to God. We will pray for the good people of Maai Mahiu. God knows of your love and concern for these people, your heart is with them.